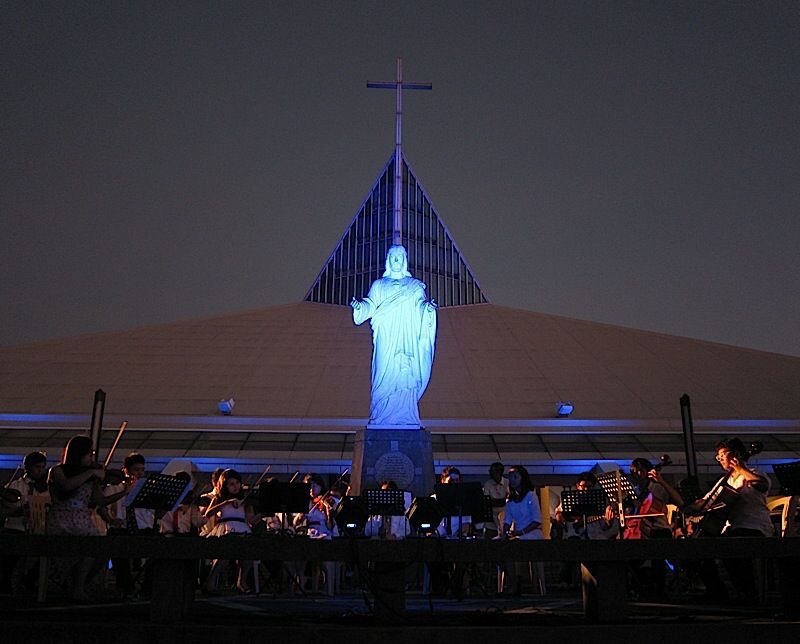 On the highest point of the Ateneo de Manila campus in Loyola Heights used to stand an imposing statute of the Sacred Heart. The statue was moved to the plaza of the University Church, the Church of the Gesu, when it was built on the same site as originally planned six decades earlier. Some of us in the 70s, during our college days, would stroll to the top of this knoll and at the foot of the Sacred Heart, we sat watching the sunset, sharing stories of our journey – “kwentong buhay” as we called such conversations – or simply being present to one another. Looking back, those were sacred moments that gave us sacred space to go home to. Sacred moments and space where we gathered again our hopes and dreams, unburdened our despairs and disappointments; the home where the heart and soul are most alive, renewed and re-inspired. To know Christ is to have a deep and intimate relationship with him, and in, with and through him his Father. This is the essence of such sacred moments and sacred spaces in our life. It is going back home to this deep and intimate relationship with Christ. Ignatius of Loyola gives us an even more holistic framework. It is to know Christ more clearly that one can love him more dearly and out of this deeper and more intimate love one can follow him more nearly. One lives in, with and through Christ. This is the reflection I invite you – especially those with children who are growing up – to make. What are the sacred moments and the sacred spaces in our day to day life, in our families, the communities we live in? Do we allow or create moments when we can be still, quiet down and take stock of the many moments and experiences of the day? Ignatius also gives us a prayer process for this, the Daily Examen. There are many variations of this prayer. The core of it is to find God in all the things of our day to day life. The Examen leads us through a twice a day review and reflection of each “half” of our day; from rising to noon and from afternoon to retiring. The process begins with gratitude, thanking God for his constant presence and focusing on the present moment. Then it is to ask for his Spirit, his guidance and providence as we look back. Then we look back, review the past half day. As this review, a better word is remembering, takes place, we try to be sensitive to God’s presence and movements in our experiences and how we responded to this presence and the movements. Then we give thanks – for God’s loving and providential presence – and we ask for forgiveness for the moments when we fell short, failed through what we have done and/or failed to do; not returning his love with love and failing to follow him. We close with a prayer – a petition to God to help us and a promise for us to be better in the coming half of the day. This is coming back home to Christ to know, to love and to follow him more.